Polaris Professional Jiu Jitsu (shortened to just 'Polaris') is a professional jiu jitsu show based in the United Kingdom and broadcast to the world. 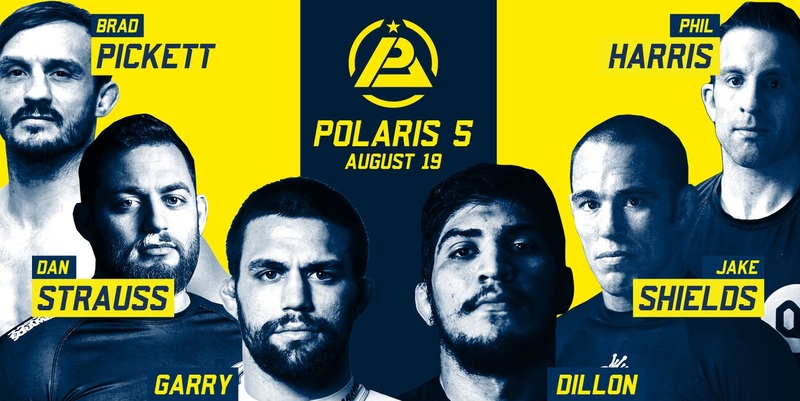 Polaris 5 – the next stacked event will be on Saturday, August 19th in London. Since its inception, Polaris has played host to jiu jitsu world champions, legendary MMA fighters from America, Japan and Brazil, and the best grapplers in the world. The main event features the hugely anticipated grudge match between grappling superstars Garry Tonon and Dillon Danis. In the co-main event, MMA legend Jake Shields travels to Britain to take on English super heavyweight jiu jitsu champion Dan Strauss. And, in a featured attraction, recently retired UFC fan favourite Brad Pickett will make his Polaris debut by taking on Phil Harris, an MMA fighter who has successfully transitioned to Polaris. Also on the stacked main card, Polaris veteran AJ Agazarm returns to action to take on reigning European champion Lloyd Cooper in a gi match, and the Japan vs Brazil rivalry continues as grappling and MMA legends Vitor Shaolin Ribeiro and Caol Uno meet for the first time. All 15-minute professional grappling matches will be contested under the Polaris rules. 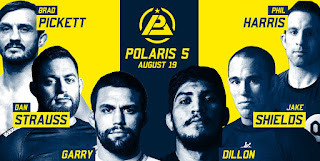 Polaris hosts matches both with 'gi' and 'no gi'.